If you want eyelashes that are noticeably longer, thicker, and darker, LATISSE® may be your answer. LATISSE is a newer product in the dermatology and beauty world, after being FDA approved in December 2008. This product is a version of a glaucoma drug called Lumigan. Patients using Lumigan noticed that over time their eyelashes grew longer, thicker, and more lush. The drug was altered to create LATISSE, a product that is used specifically to enhance the growth of your lashes. This is a prescription treatment for hypotrichosis, which is a condition that leaves people with an inadequate amount of eyelashes. LATISSE is meant to improve the growth phase of your lashes as well as the number of lashes that grow, leaving your lashes thicker and longer. LATISSE should be applied once per day, generally at night. When you are prescribed LATISSE, you will receive the bottle and 60 applicator brushes, these brushes should only be used once. Reusing an applicator, even once, could cause serious problems. This product is applied only to the base of your upper lashes, and should never be applied to the bottom. After about four to eight weeks, you will begin to see results, with a small amount of growth. Full results will be visible after about 16 weeks. Your lashes will be longer, thicker, and darker, with real lash growth. 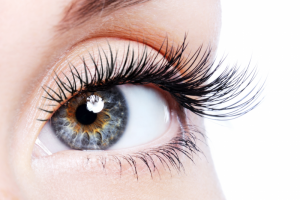 If you stop using LATISSE, your lashes will eventually return to their former state. LATISSE can help you get the look you want. If your lashes are short and thin, but you want luscious, beautiful lashes, LATISSE could help you get your desired look. Schedule an appointment with Azeal Dermatology Institute today, we can help determine if LATISSE is the right product for you.